After Marvel released the Guardians Of The Galaxy Vol. 2 set list earlier this week, fans set about compiling these tunes into their very own awesome mixtape/playlist, as if they needed another reason to listen to “Surrender.” But there was one song that eluded them—“Guardians Inferno,” an original track written by director James Gunn and the film’s composer Tyler Bates, featuring David Hasselhoff. Luckily for the avid collectors out there, the song has just been released in all its cheesy disco-rap glory. 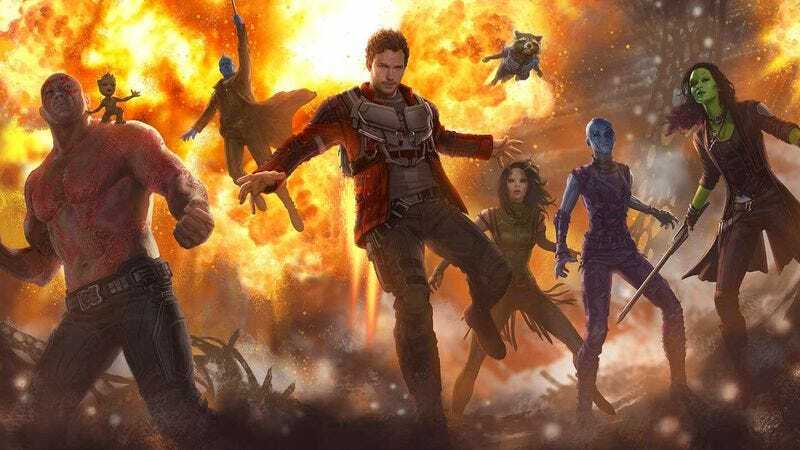 Gunn tells Rolling Stone the song was intended to be a “Guardians take on Meco’s disco Star Wars theme.” In addition to rhyming the binomial name for raccoon with “motors,” the song has Hasselhoff deftly playing “planet” off “damn it” with his backing band, The Sneepers, before reminding us “We are all Groot.” The Baywatch and Knight Rider star was asked to do the honors because he’s one of Peter Quill’s heroes, but let’s not forget that he covered a song from the first film’s soundtrack.